Be sure you have the starting power you need. With 100-month warranty. *Dealer-installed retail purchases only. With exchange. Taxes and installation extra. Subject to credit approval. Not valid on prior purchases. 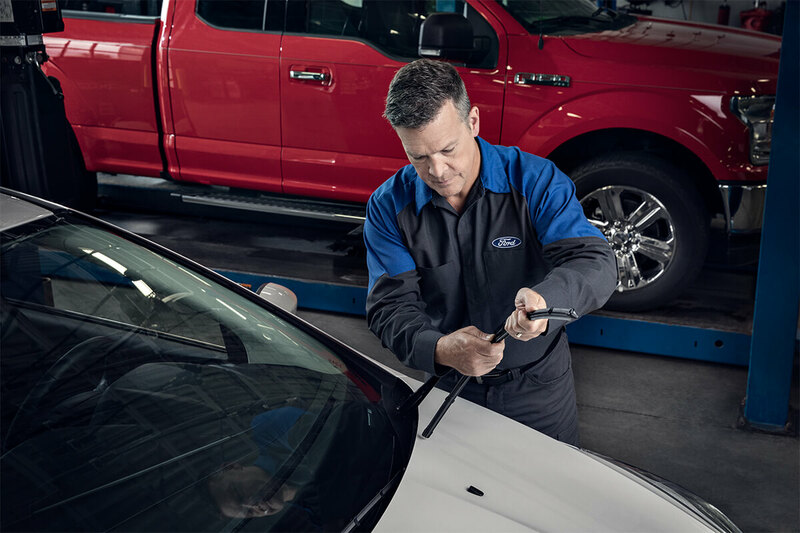 Complete purchase must be made on the Ford Service Credit Card for $40 maximum rebate. Offer valid 2/01/19 to 3/31/19. Submit rebate by 4/30/19 by mail-in rebate form or online at fordowner.com. ($40 with Ford Service Credit Card, $20 without Ford Service Credit Card.) Limit one rebate per account. Rebate by prepaid debit card. Ford Service Credit Card is issued by Citibank, N.A. 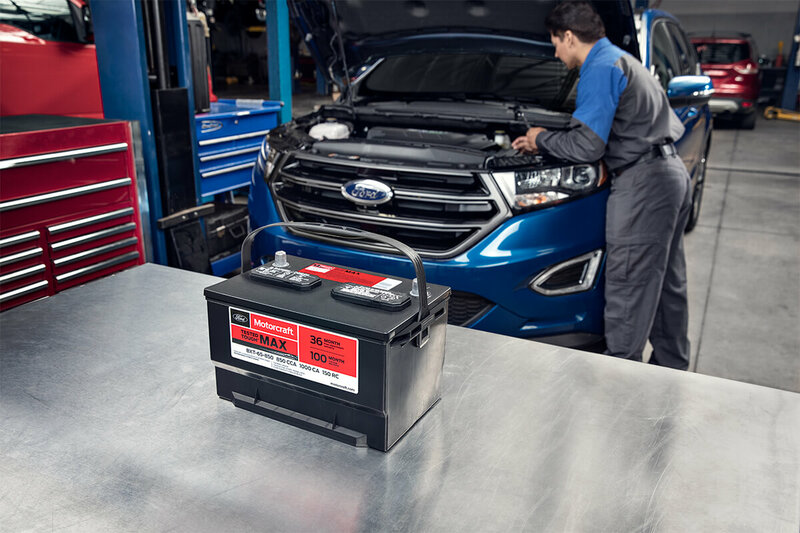 Motorcraft® is a registered trademark of Ford Motor Company. See Service Advisor for vehicle applications and rebate details. *Valid on dealer-installed retail purchases only. Requires presentation of competitor's current price ad/offer on exact tire sold by dealership within 30 days after purchase. 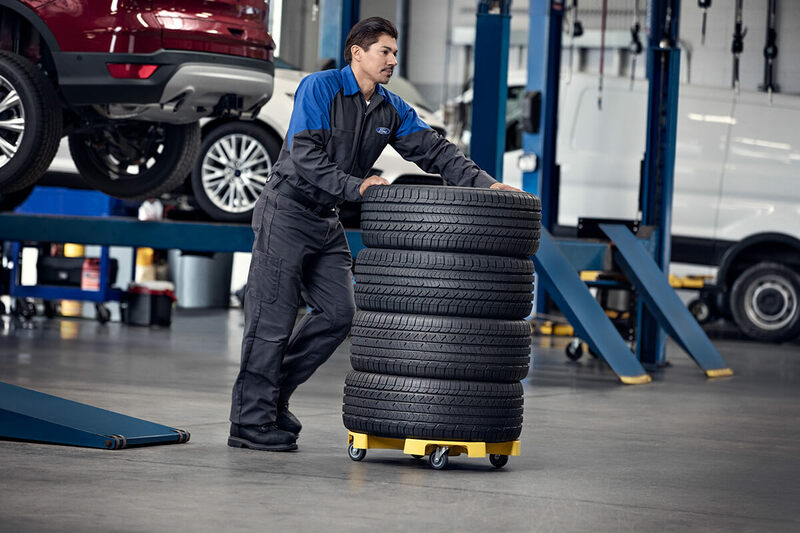 For online quotes, guarantee applies only to new tires sold on retailer websites. Excludes tires sold by third parties on marketplace sites and any resellers. See Service Advisor for details. *Dealer-installed retail purchases only. $70 tire rebate and $60 credit card rebate by prepaid debit cards. Subject to credit approval. Not valid on prior purchases. 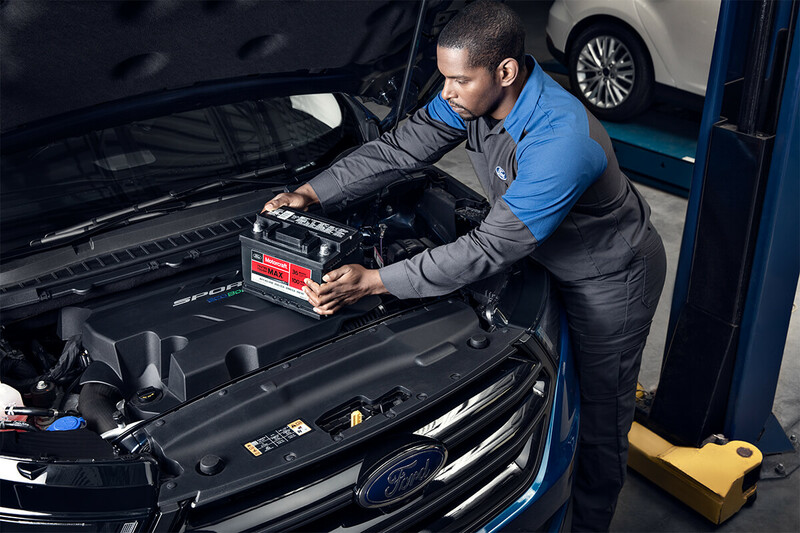 Complete purchase must be made on the Ford Service Credit Card for $130 maximum rebate. Offer valid 4/01/19 to 6/30/19. Submit rebate by 7/31/19 by mail-in rebate form or online at fordowner.com. Limit one rebate per account. 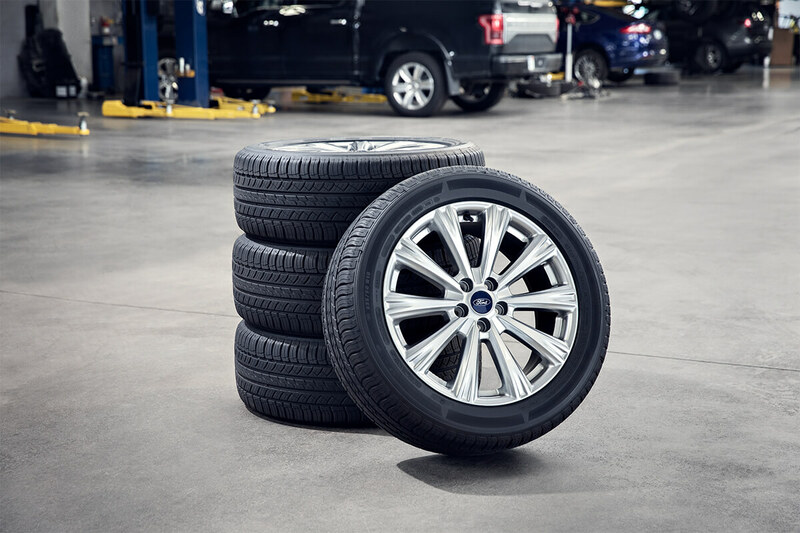 Cannot be combined with any other tire manufacturer-sponsored or Ford Service Credit Card rebate/offer. Ford Service Credit Card is issued by Citibank, N.A. See Service Advisor for vehicle applications and rebate details.